Summer is synonymous to Mangoes. Isn't it? Everybody's favorite Mango, the king of fruits. People just jump into buying this summer fruit as soon as it appears in the market. And my family is no exception. Hubby dear is bringing bags full of mangoes almost everyday. My anniversary falls also on the first month of Summer. 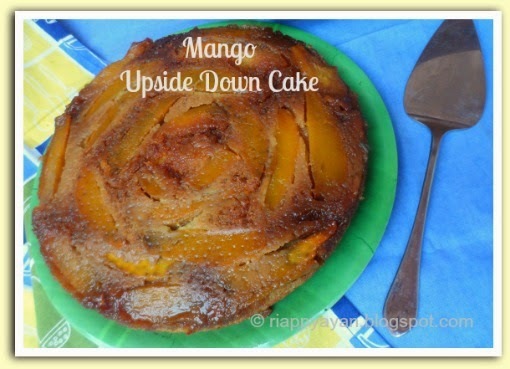 My hubby is not fond of any cakes which are frosted with creams, so last year I made a no-bake mango cheesecake for my anniversary and this year I made this Mango upside down cake. So long, I've baked lots of cakes, but never made a cake with fruits, so thought to try this cake as I never made one before. 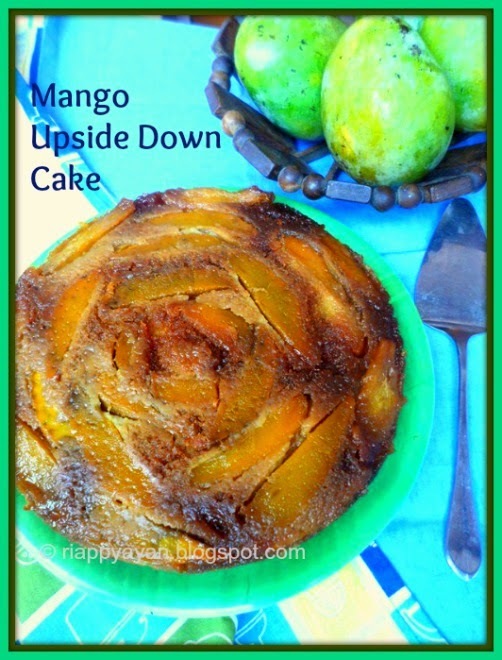 It was a big hit off course, with mangoes you can never go wrong. 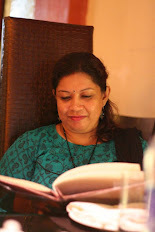 Not only hubby, kids also loved it to the core, even though my little ones are not so fond of mangoes. 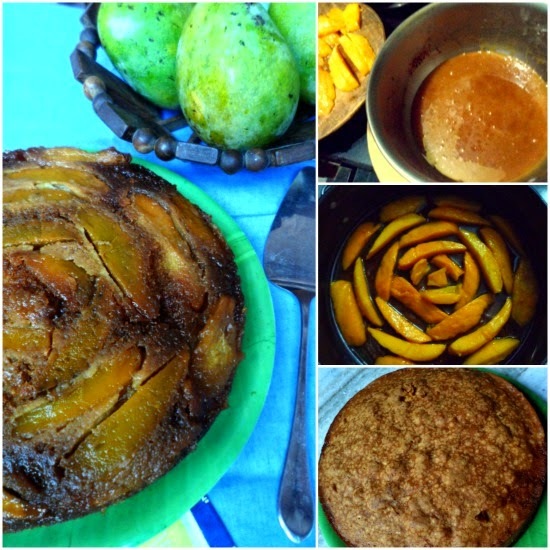 Chunks of fresh mangoes with caramelised sugar over a soft and spongy cake, aha, a mouth full of heaven. Use mangoes those are little firm, not the soft ones. Baking Soda : 3/4 tsp. 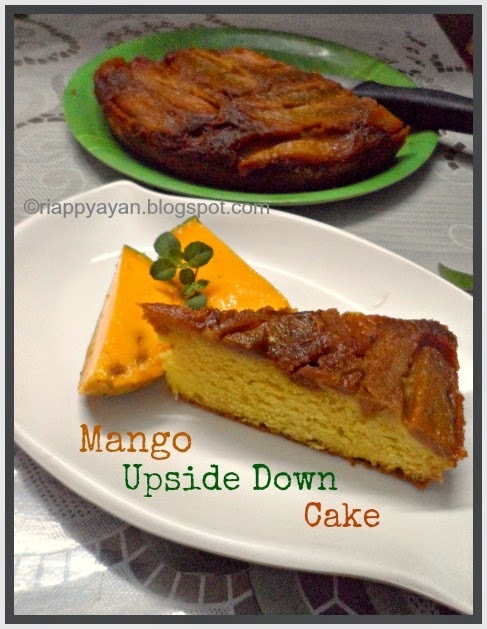 For topping : 1) Cut the mangoes lengthwise in medium-thick pieces. Set aside. 2) Heat butter in a pan on stove-top. Once melted, add the sugar and simmer till sugar incorporates well, stirring continuously until you get a thick paste in spreadable consistency. Grease the bottom and the sides of your cake pan, then spread the caramelised butter-sugar mixture into the bottom of your pan. Caution: Spread the butter-sugar mixture immediately after made, otherwise it'll get hard, so grease your cake pan beforehand. Then arrange the mango slices over the butter-sugar mixture in ant pattern you want. I made a Rose pattern(refer pics for this in the below collage). Keep aside the cake pan and let's prepare the cake batter. For the cake batter : In a medium bowl, whisk together the flour, baking soda and salt. Set aside. In the bowl, beat the sugar and softened butter until light and fluffy. Add the 2 eggs one at a time, beating after each addition. Beat in the vanilla. Now add half of the flour mixture and beat to mix well. Next add the curd/yoghurt and beat to mix it in the batter. Lastly add rest of the flour and beat till incorporated well. Add milk if needed to get a creamy batter. When batter is ready, pour it over the mango arrangements carefully. Preheat your oven to 180 degreeC and bake for 45 minutes or until a toothpick inserted in the middle of the cake comes out clean. Remove from oven and let it cool on a wire rack for 10-20 minutes. Then run a thin knife along the edges of the pan, invert onto a platter and continue cooling. Serve at room temperature. serve a scoop of vanilla or mango flavoured ice-cream by the side, if desired. 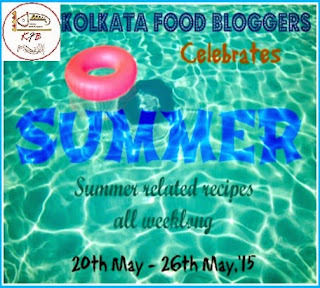 Sending this dish to Kolkata Food Blogger's Ongoing Summer event. 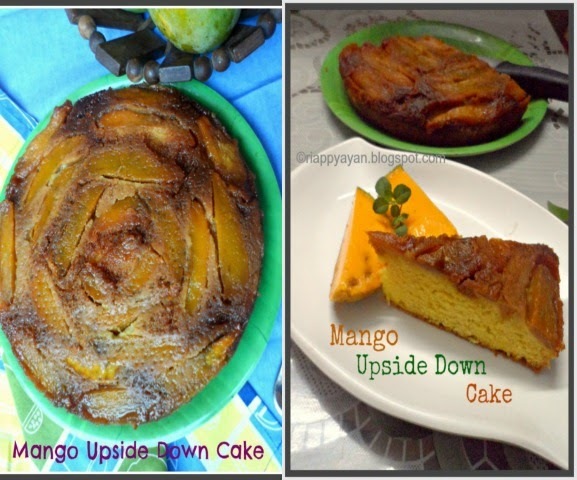 I love mango cake.. yours looks so delicious.